Served on 41 Sqn at Coltishall from 1957-1958. On July 11, 1958, Earl’s Gloster Javelin entered an unrecoverable flat spin during a flying display over RAF Wattisham. 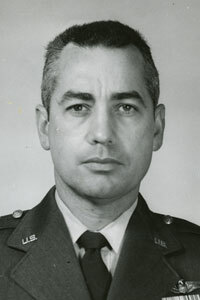 His navigator, Brian Bedford (a fellow exchange officer), ejected safely moments before impact but Earl was outside seat parameters and was tragically killed.